Dr. Tack grew up in Fond du Lac, WI and has wanted to be a dentist even from the time she was young. She was able to work in a dental office in high school, and dentistry has always been her passion. She attended Marquette University and graduated with a Bachelors of Science degree in Dental Hygiene in 2004. She then continued onto the Marquette University School of Dentistry and graduated in 2008. Dr. Tack is a Golden Eagle fan through and through! Dr. Tack understands patients’ fears and treats every patient with the gentle touch they deserve. She has skills in many facets of dentistry and thoroughly enjoys working with people. 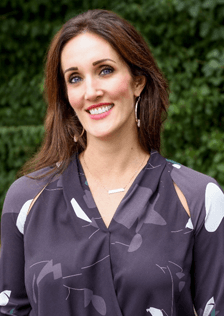 She has attended many continuing education courses to further her career, and she is certified to perform oral conscious sedation as well as provide Invisalign braces; Dr. 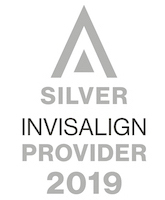 Tack is proud to be an Invisalign Silver Provider. She is a member of the American Dental Association, Wisconsin Dental Association, and the Milwaukee Dental Association. Dr. Tack is very excited to be part of the team at Elmbrook Family Dental and looks forward to working with you. In her free time, Dr. Tack enjoys being with friends and family, cooking, exercising, and reading. One of her favorite things to do is prepare new recipes and entertain at her home. She also likes being involved in the dental community and has participated in events such as Give Kids a Smile, Smile Day, and Mission of Mercy. Dr. Tack has also taken four trips to Central America, two to Honduras and two to Nicaragua, for medical/dental mission trips, and she finds serving others to be very rewarding.